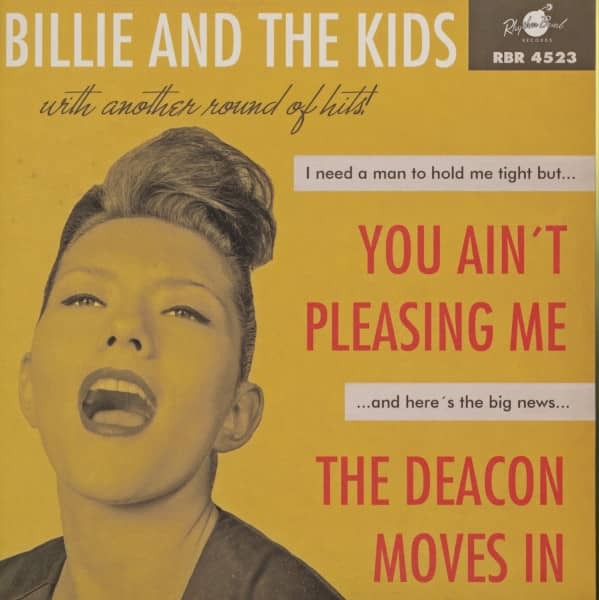 (2016/Rhythm Bomb) The neweist 45rpm record from Billie & The Kids, featuring the self-penned 'You Ain't Pleasing Me', a fantastic dancable groover in the late 50s style of Varetta Dillard and Ruth Brown! The flip 'The Deacon Moves In' is a great cover of the Little Esther title, which she recorded with Billy Ward's Dominoes in 1953! The track on this 45 is a duet with Cherry Casino! Get hot or go home! 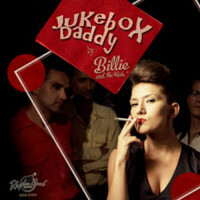 Within a matter of only a few years, Billie (born Ana Klabucar in Croatia) has zoomed from the equivocal position of a highly promising singer to that of one of the world´s top recording artists. 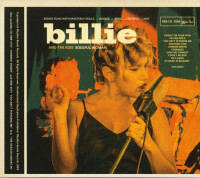 Billie brings to music a quality that had too long been missing, a sort of breezy freshness and an imitate directness of appeal. From her very first recordings she was a success, her singing has kept pace and she is one of the most artful and popular stars of her generation. 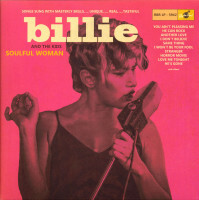 To rhythm numbers she brings a brisk, sparkling enthusiasm that lights up even an ordinary song, while to ballads Billie brings a sort of husky grace and an impression of genuine sincerty that has captivated an imposing number of listeners! Customer evaluation for "You Ain't Pleasing Me - The Deacon Moves In (45rpm, PS)"